Why Shop for A New Atlas? Shopping for a vehicle to take to your favorite Annandale parks? 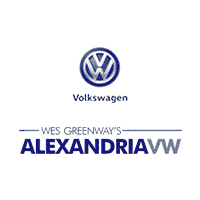 Look no further than the new Volkswagen Atlas inventory at Alexandria Volkswagen. We have a wide variety of new VW Atlas models in stock, from the popular SE, SEL, and SEL Premium trim, along with options with 4MOTION® AWD. Compared to other popular SUVs like Subaru Ascent, the Atlas prevails with greater interior space and EPA-estimated fuel economy ratings. When you’re ready to take your commute to the next level, stop by Alexandria Volkswagen to pursue the new VW Atlas for sale in Alexandria!